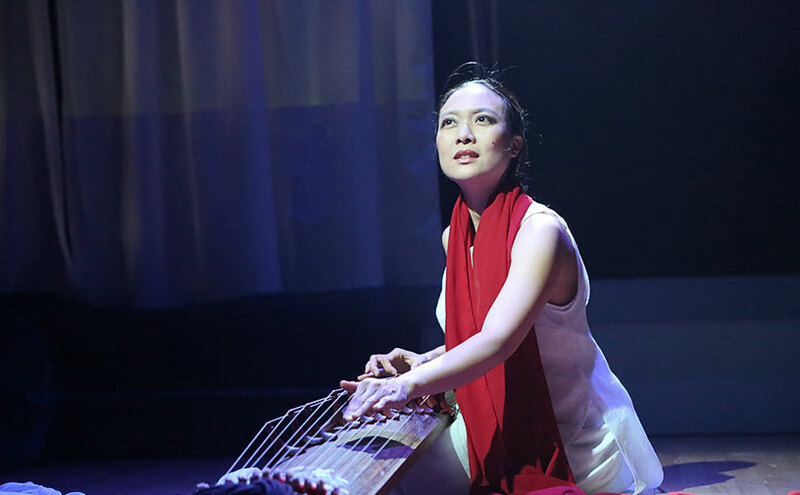 2014 Doris Duke Impact Award recipient Jen Shyu explores multi-cultural identities through a musical journey, with special guest Mark Dresser, Monday, February 2, at 7pm at UCSD’s Loft.
. . . a personal journey of loss and redemption made universal through the exploration of hardships that plagues our modern world: loss of tradition, habitat, and public spaces. Sonic, visual, and visceral rites and reflections are discovered by pilgrimage through Taiwan, East Timor, Indonesia, Vietnam, and South Korea. . . .